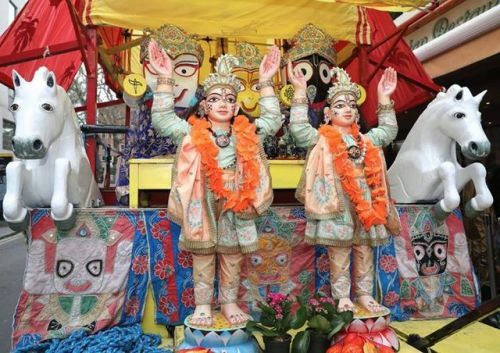 Photos of ISKCON-London’s Gaura Purnima 2019 celebrations. Please find below photos from Lord Caitanya Mahaprabhu’s Appearance Day at ISKCON-London. The Radha Krishna Temple was joined by devotees from Bhaktivedanta Manor for maha harinama sankirtan along London’s famous Oxford Street.